The latest findings prompt government investigation. Following a shocking report last month proving that paintings stolen from Holocaust victims were returned to Nazis and their families after World War II, the Bavarian Parliament’s art committee, Kunstausschuss, unanimously agreed that the state government must publish a report on works of art, with the assistance of the state paintings collections (Staatsgemäldesammlungen). The findings were released by the Commission for Looted Art in Europe (CLAE). Among other information exposed, in some cases, artworks were sold at far lowered prices to the families of Nazi officials rather than being restituted to families of victims. In other instances, the state of Bavaria simply kept the artworks. State-owned museums in Munich profited in particular from art looted by the Nazis at least until the 1990s, the study shows. CLAE also announced the immediate resolution of the restitution claim that had led to the larger probe in the first place. The CLAE investigation began after the rightful heirs of collectors Gottlieb and Mathilde Kraus, who are trying to recover some 160 artworks stolen from the Krauses, had good reason to believe two of their paintings would be in the state-owned museum in Munich. One small painting, Jan van der Heyden’s Picture of a Dutch Square, was sold by the Bavarian State Galleries to von Schirach for 300 Deutschmark, who then auctioned it off for 16,000 Deutschmarks to the Xanten Cathedral Association; it was on display in the cathedral until 2011, the same year that CLAE submitted a restitution claim for the painting on behalf of the Kraus family. The chairman of the Dombauverein, responsible for the Xanten cathedral, has now issued a statement acknowledging the history of the painting and of the family, and saying they are willing to return the artwork. “We welcome the publicly stated commitment of the Dombauverein to restitute the painting”, said Anne Webber. 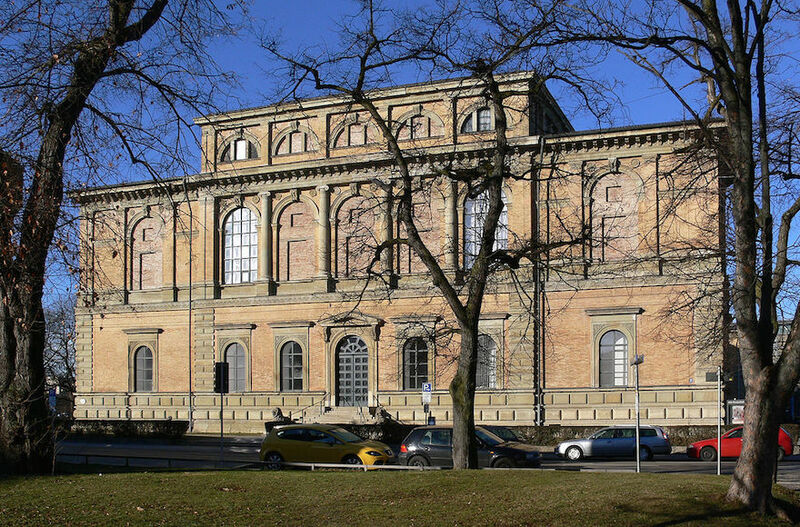 artnet News has reached out to the press office of the Alte Pinakothek art museum in Munich, one of the Bavarian state galleries, which was the source of an emailed four-page statement, responding point-by-point to the CLAE’s explosive report. artnet News had not heard back as of publication time.